A woman who was sending abusive messages to the Madeleine McCann's family was found dead on Saturday. Mrs Leyland was confronted by [a Sky News] reporter who put to her she had posted messages attacking the family on Twitter via the handle @sweepyface. Leyland, who was educated at a convent school and studied at Goldsmiths, University of London, is among a group of hate-filled critics of Kate and Gerry McCann who have posted hundreds of vile messages about the couple online. The trollers wrongly believe the McCanns were involved in their daughter's disappearance. Madeleine McCann disappeared in 2007 during a family vacation to Praia da Luz, Portugal. She was three years old at the time. 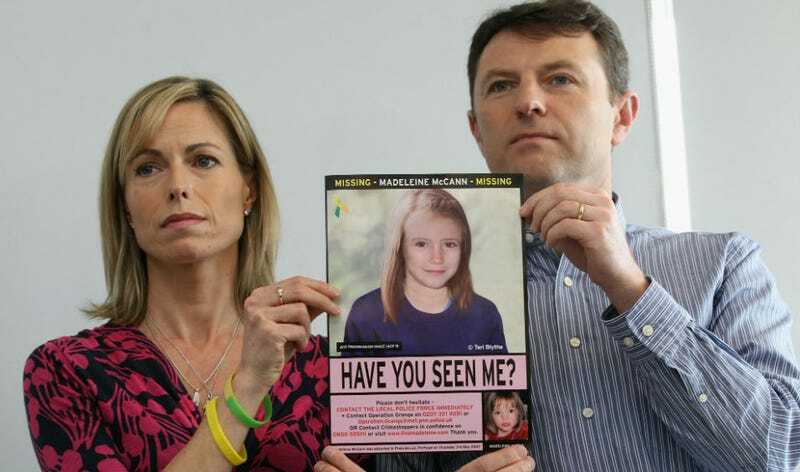 The McCann's were cleared of involvement in her disappearance in 2008 by authorities in Portugal. In a recent interview about the trolling, her father Gerry McCann told the BBC it was time to do something about the harassment. "Clearly something needs to be done about the abuse on the internet....I think we probably need more people charged." He described how he and his wife Kate, who live in Rothley Leicestershire with their nine-year-old twins, do not read posts about them on the internet because it was too "upsetting". According to police, Leyland's death is not being treated as suspicious.